Rush junior parkrun is a FREE 2km event for junior runners of all standards, which takes place every Sunday at 9:30am in Kenure Woods, Rush, North County Dublin. See our home page for more details. The 2k timed run can be whatever you want it to be, whether for fun or as part of a training plan. It offers an opportunity for all the family to get involved and come together on a regular basis to enjoy this beautiful park. We want to encourage people to jog or run together irrespective of their ability – this event is truly open to all and best of all it really is FREE! Taking part is easy – just register in advance before your first ever parkrun. Your individual barcode can then be used for this weekly 2k run, or on any of the weekly 5k parkruns around the country. The junior parkrun is a great way to get involved and introduce yourselves to a sport without any of the normal outside pressures. A great way to improve health, confidence and to enjoy a great location. It can also be part of getting fit for sport for your school or to train for a specific target such as the Mini-Marathon trials, or for a full 5k parkrun distance. In short, you are welcome to come along and have fun. Healthy Ireland: Healthy Ireland is the national framework for action to improve the health and wellbeing of the people of Ireland. Its main focus is on prevention and keeping people healthier for longer. 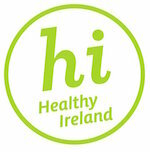 Healthy Ireland’s goals are to: Increase the proportion of people who are healthy at all stages of life; Reduce health inequalities; Protect the public from threats to health and wellbeing; Create an environment where every individual and sector of society can play their part in achieving a healthy Ireland. Fingal County Council: Fingal County Council's Vision is: “Fingal - the most active, innovative, dynamic sporting community in Ireland”. Our Mission is to support sport in Fingal by: “Increasing opportunities to participate in sport; delivering excellent innovative programmes; providing training, leading and raising the profile of sport in the County”. Fingal County Council is happy to support parkrun in its designated parks. The event are yet to make a claim against the donations. Event teams please contact your local parkrun ambassador, country manager, or review the Organiser wiki for guidance on claiming against the available donations.